LOL.Every time I look at him I laugh. So, mission accomplished. I was a tad overzealous with the clamping on his eyes. The finish needs a touch up. Overall he’s coming together well. 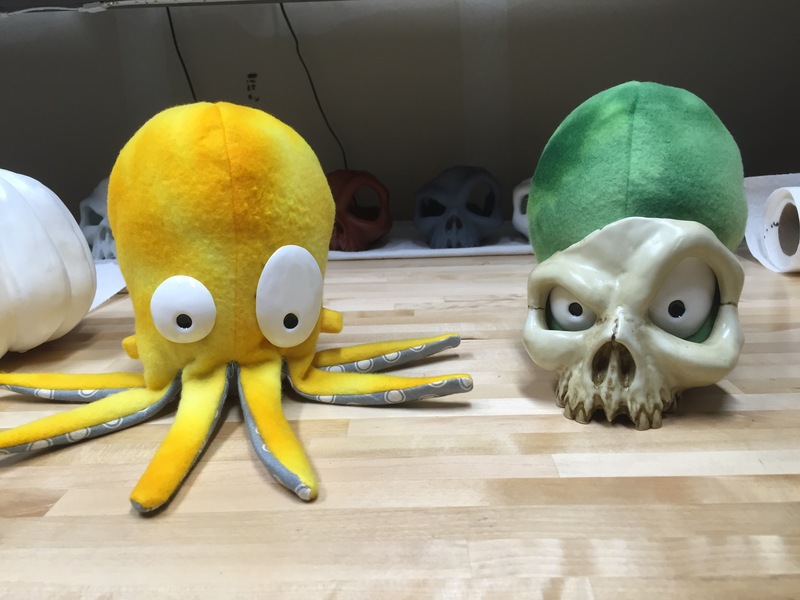 I’ll have a yellow, green, and purple Skulltopus, along with individual skulls, for sale on the Etsy store next week. Previous Previous post: What you lookin at?